Two researchers at the Space Telescope Science Institute in Baltimore, Md., Selma de Mink and Daniel Lennon, are part of an international team of astronomers who used the European Southern Observatory’s Very Large Telescope at the Paranal Observatory in Chile to find the massive, bright young star, called VFTS 102. It lies in a neighboring dwarf galaxy, the Large Magellanic Cloud, about 160,000 light-years from Earth. Astronomers think that it may have had a violent past and has been ejected from a double star system by its exploding companion. “The remarkable rotation speed and the unusual motion compared to the surrounding stars led us to wonder if this star had an unusual early life. It was suspicious,” explained Philip Dufton of Queen’s University Belfast, Northern Ireland, United Kingdom, lead author of the paper presenting the results. 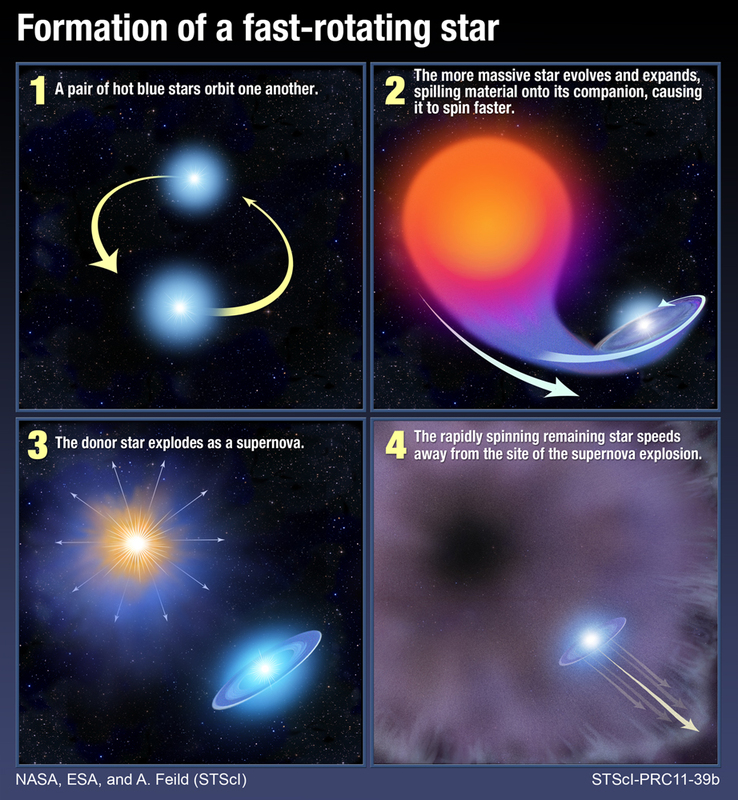 This difference in speed could imply that VFTS 102 is a runaway star — a star that has been ejected from a double star system after its companion exploded as a supernova. This idea is supported by two further clues: a pulsar and supernova remnant in its vicinity. 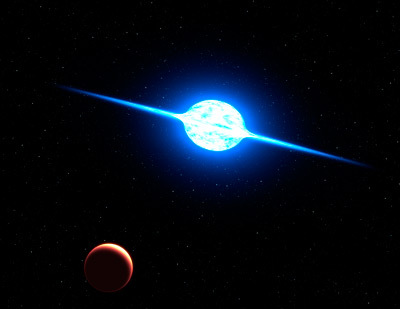 The team suggests that the star could have started life as one component of a binary star system. If the two stars were close, gas from the companion could have streamed over and in the process the star would have spun faster and faster. This would explain one unusual fact — why it is rotating so fast. After a short life of about ten million years, the massive companion would have exploded as a supernova — which could explain the supernova remnant found nearby. The explosion would have led to the ejection of the star and could explain the third anomaly — the difference between its speed and that of other stars in the region. As it collapsed, the massive companion would then have turned into the pulsar that is observed today and completed the solution to the puzzle. To test this theory, Lennon and de Mink will use NASA’s Hubble Space Telescope to make precise measurements of the star’s proper motion across space. The team is composed of P.L. Dufton (Astrophysics Research Centre, Queen’s University Belfast (ARC/QUB), UK), P.R. Dunstall (ARC/QUB, UK), C.J. Evans (UK Astronomy Technology Centre, Royal Observatory Edinburgh (ROE), UK), I. Brott (University of Vienna, Department of Astronomy, Austria), M. Cantiello (Argelander Institut fur Astronomie der Universitat Bonn, Germany, Kavli Institute for Theoretical Physics, University of California, USA), A. de Koter (Astronomical Institute “Anton Pannekoek,” University of Amsterdam, The Netherlands), S.E. de Mink (Space Telescope Science Institute, USA), M. Fraser (ARC/QUB, UK), V. Henault-Brunet (Scottish Universities Physics Alliance (SUPA), Institute for Astronomy, University of Edinburgh, ROE, UK), I.D. Howarth (Department of Physics and Astronomy, University College London, UK), N. Langer (Argelander Institut fur Astronomie der Universitat Bonn, Germany), D.J. Lennon (European Space Agency, Space Telescope Science Institute, USA), N. Markova (Institute of Astronomy with NAO, Bulgaria), H. Sana (Astronomical Institute “Anton Pannekoek,” University of Amsterdam, The Netherlands), and W.D. 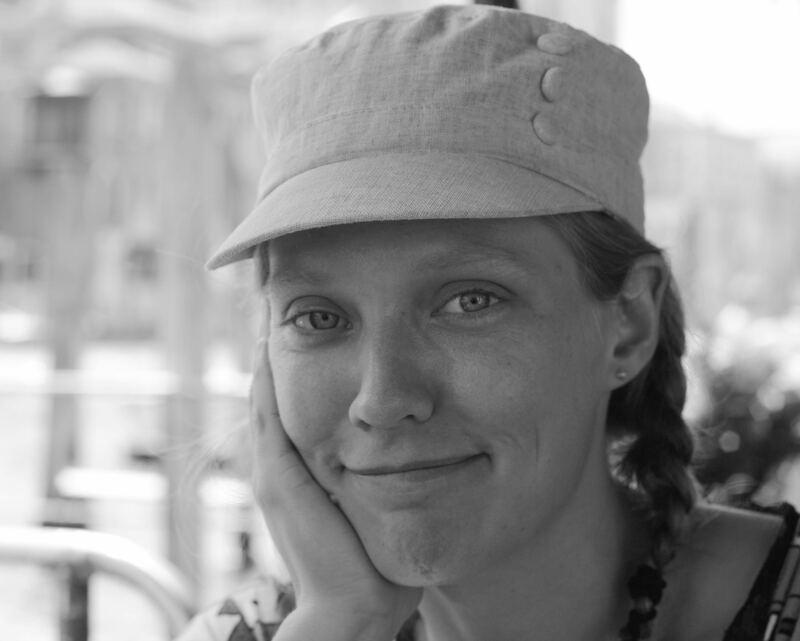 Taylor (SUPA, Institute for Astronomy, University of Edinburgh, ROE, UK).